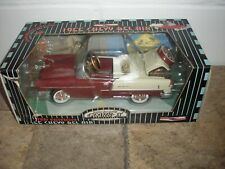 Rare 1964 BUICK WILDCAT CONVERTIBLE Plastic 1:24 / 1:25 scale Model Car VERY HARD TO FIND IN ANY CONDITION. Problem w/ Every Wildcat Model I Have Seen. I Usually Glue them, But I. Appears to be Complete, and has the “ Very Rare” Roaster Back Seat. New in the box. Everything is prepainted in this plastic model kit, skill level 2. This may not roll straight. This is from an adult collection. I HAVE A LOT MORE OF THESE . Hawaii, Alaska will be higher. This is aNEW RAY 1/32 ?. 4 1/4" long 1955 Buick Century Convertible Black & White. The upper windshield is cracked. These are from an adult collection. Hawaii, Alaska. 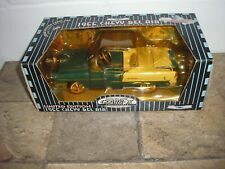 I HAVE ALOT MORE 1/64 CARS AND TRUCKS BY JADA, Muscle Machines, MAISTO, Johnny Lightning, Tonka, Hot Wheels, Matchbox, Ertl, Racing Champions, and many more . They are from an adult collection. They are very are in very good condition but with the box showing shelf wear. I HAVE ALOT MORE 1/64 CARS AND TRUCKS BY JADA, Muscle Machines, MAISTO, Johnny Lightning, Tonka, Hot Wheels, Matchbox, Ertl, Racing Champions, and many more . They are from an adult collection. They are good condition but with the box showing shelf wear. Hawaii, Alaska. 1955 Buck Century 1;25. New In The Box. NO EXCEPTIONS! LISTED AS USED. 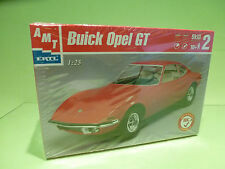 THE MODEL IS IN EXCELLENT CONDITION IN THE ORIGINAL BOX AND IS ATTACHED TO THE BASE. THE BOX HAS BEEN OPENED, HAS SHELF WEAR, AND THE PLASTIC BLISTER IS CRACKED ALONG THE TOP EDGE. SEE PICTURES. Hot Wheels Custom Collectibles. Limited Edition for the Adult Collector. 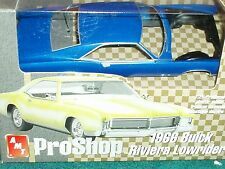 The Model Car shown in the pictures is the Model Car you will receive. F IREWOOD CUSTOM. Customised model of a Plymouth GTX Maisto model 31016 1:24 scale car model Custom paint and parts Electrostatic paint coating Tampo print decals, opening parts Highly detailed interior and exterior . By REVELL MONOGRAM. 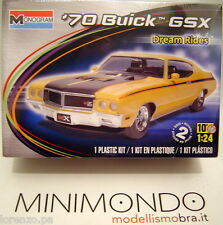 KIT 1970 BUICK GSX. Ricorda di aggiungermi all'elenco dei preferiti ! Dai un'occhiata alle mie inserzioni ! Australia & Oceania 31,00.